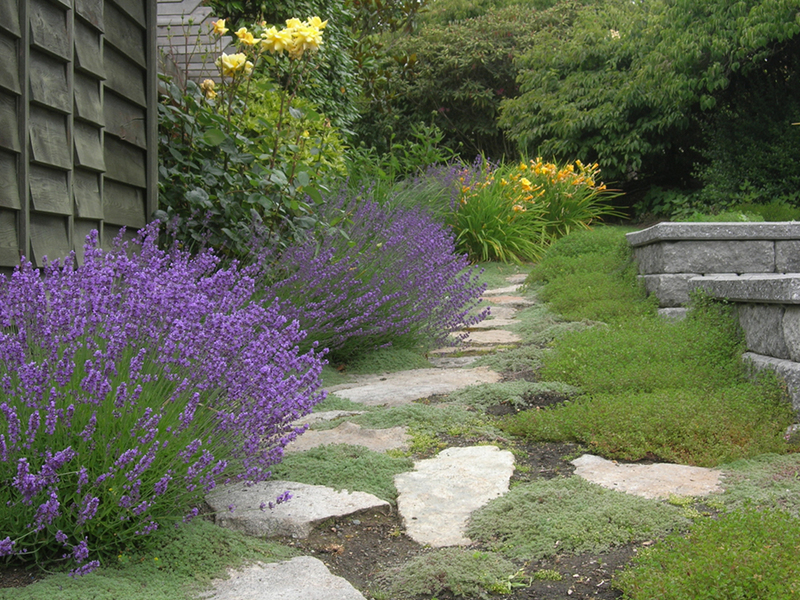 Ferguson Residence - Side pathway and perennial border. Ferguson Residence - Aesethic solution for a needed bioswale. 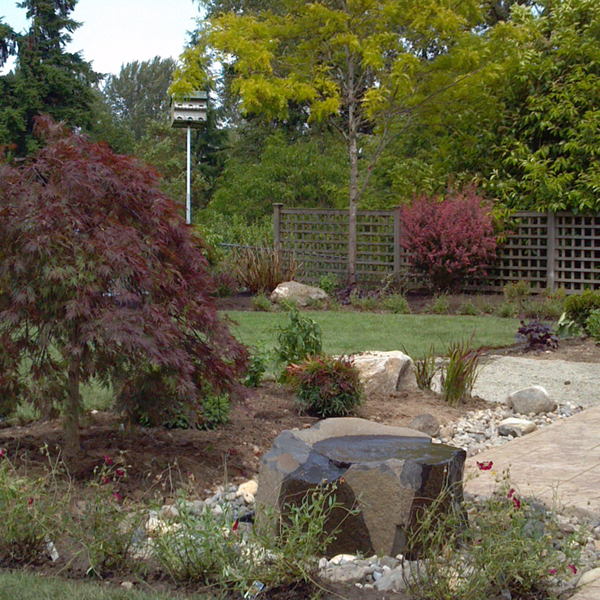 Laura is the owner of Gardenworkz landscape design located in Redmond, Washington. 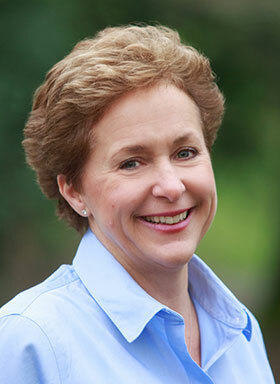 She is a graduate of South Seattle Community College’s Horticulture/Design Build program and is a Certified Professional Horticulturist through WSNLA. 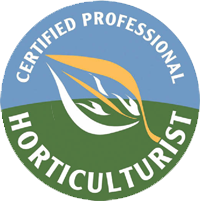 In addition to being a member of APLD and helping to create their continuing education programs, Laura has also been a technical advisor for the Horticulture program at South Seattle Community College. Gardenworkz projects have been in East King County as well as in Seattle, Eastern Washington, Idaho, and California. Great projects result from great partnerships. 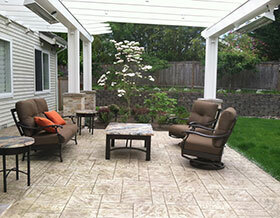 Laura explores options and considerations with her clients to deliver wonderful outdoor spaces. Her business has grown by this ability to unearth a property’s opportunity to fulfill the client’s desires, and by offering great customer service from design development through construction. She is not only a creative designer but an effective owner advocate and representative during construction for her projects. 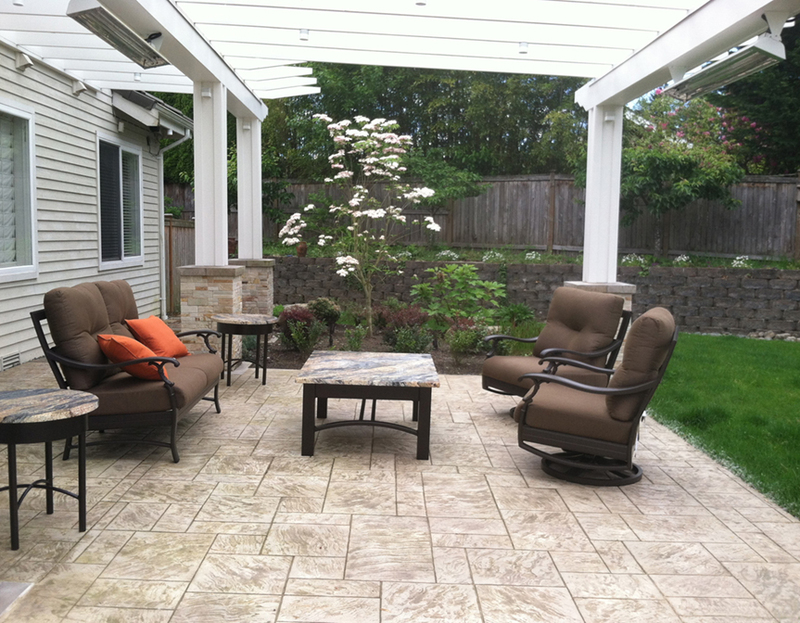 Laura approaches each project with the goal of creating year-round outdoor enjoyment, and sustainable design - making the most of native plantings, hardscape materials and amenities (permeable pavers, stormwater cisterns, etc). Laura’s passion for landscapes began in the 1990’s when she helped lead the creation of a public P-Patch on Queen Anne hill in Seattle. Working with the City Parks department, she helped develop the garden in one of the last city-owned lots, recruiting volunteers and organizing its construction. Laura became a WSU/King County Master Gardener and focused on educating children and bringing vegetable gardens to elementary schools. Her passion for educating children continued as a Wetlands Restoration project manager at Emily Dickinson elementary school for 6 years. Laura, along with parent volunteers and 700 children, annually restored the wetlands for science exploration, earning her the King County Earth Hero in Schools award for “going above and beyond to protect our environment”. As a former manager at Nordstrom, Laura places client service as a fundamental principal in her design and construction work – believing that final products are only successful if the clients feel they are. 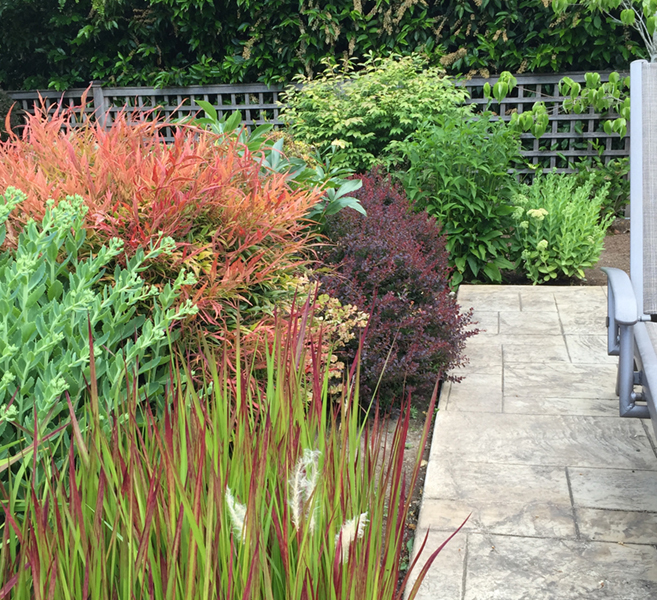 Gardenworkz creates landscapes and outdoor spaces for residential and commercial clients, working with many talented contractors and craftsmen to bring projects to life. Laura enjoys educating her clients on their specific environment, and providing close collaboration for clients and her team of vetted contractors. Ferguson Residence - Front entry planting detail. 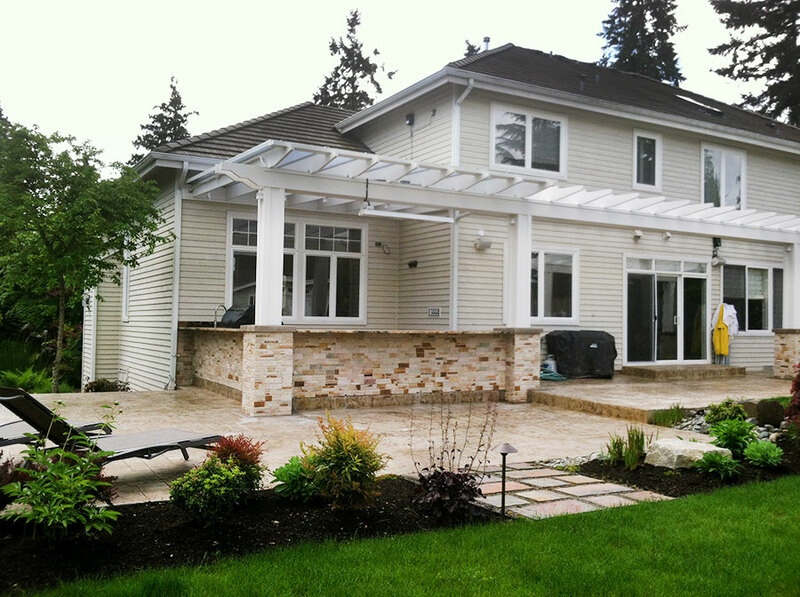 This Clyde Hill estate west of Bellevue, Washington was renovated in two phases – a major garden/outdoor space and a new house reconstruction with landscaping and sustainable amenities. 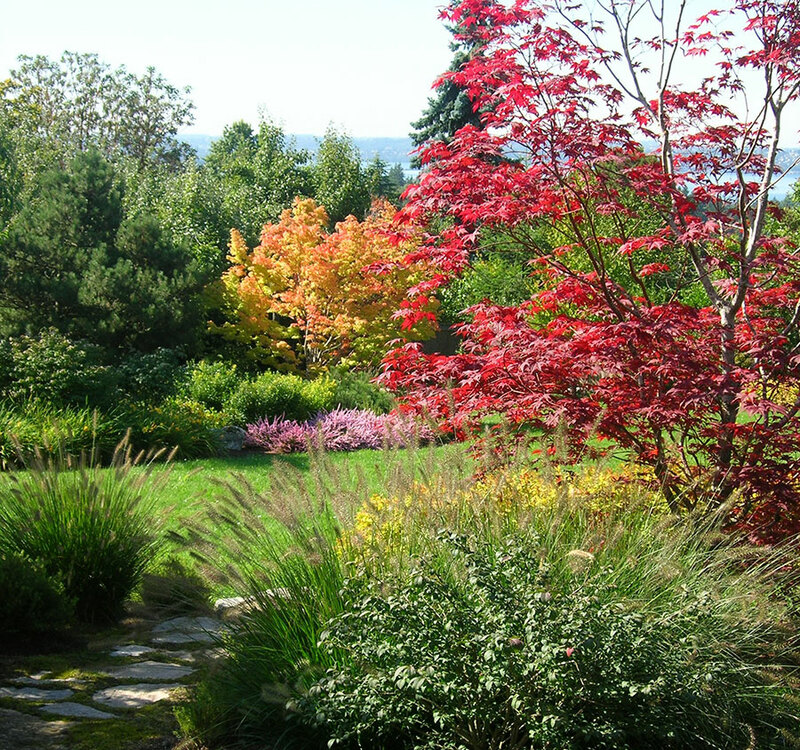 The client asked in 2006 to restore a one acre area on his property to a garden and outdoor space that would provide privacy from the road, a veggie garden, year-round color and interest, and a place for their show dogs to play. It needed to be low maintenance with no thorns to injure the dogs. Laura found inspiration in Keith Wiley’s book “On the Wild Side” and after sharing some photos from that book and providing concepts that addressed the specific needs, the project was underway. 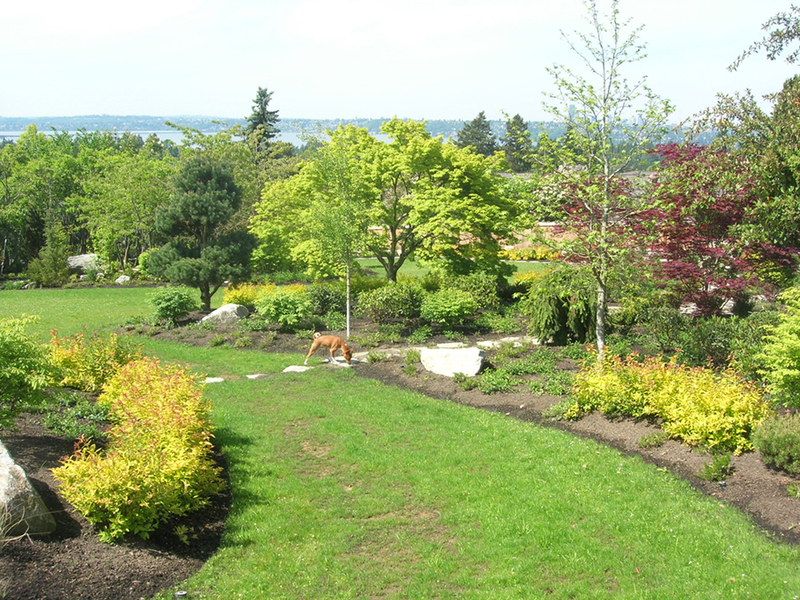 Work included clearing the one-acre lot of blackberries , soil amendment work to contour the landscape (250 cubic yards of nutrient rich soil), 500 new perennials and shrubs and over $20,000 in mature trees for immediate coverage. Boulders anchored the various transitions through the garden and paths while giving the show dogs elements to climb on… they love it! Roadside plum trees were protected and maintained and have provided years’ worth of fruit to local charities. 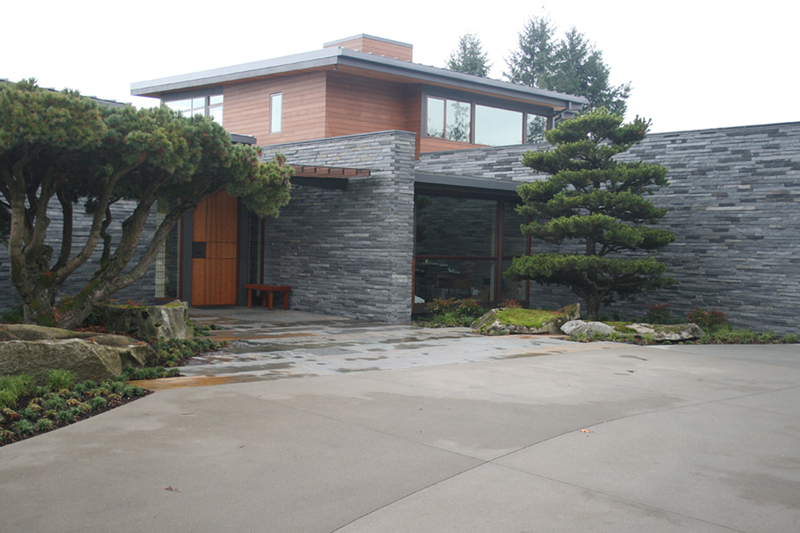 In 2008, the client did a complete teardown of the existing Northwest contemporary residence and built a modern and sleek new home. 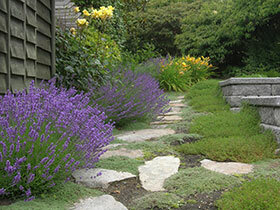 Gardenworkz provided landscape design around the new home and helped to incorporate sustainable strategies. 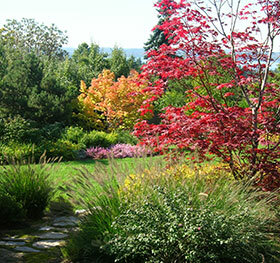 Laura worked with the architect, engineer, and contractor to achieve the first goal of greater sustainability which included reuse of trees, boulders, soil and the use of Ecoturf, permeable grass pavers for driveway, bioswales, and a 19,000 gallon cistern (collecting surface water used for irrigation in the summer). A geothermal exchange well was constructed to help heat the 6000-sf house. 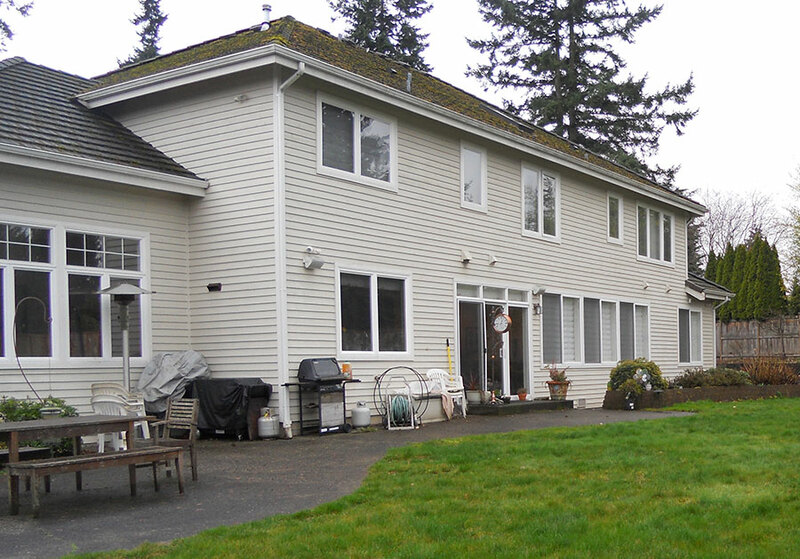 The second goal was to tie the two properties together without redoing the work we had accomplished in phase one. To accomplish this, Laura and Big Tree Supply determined what could be reused and held offsite during construction – a key sustainable strategy. 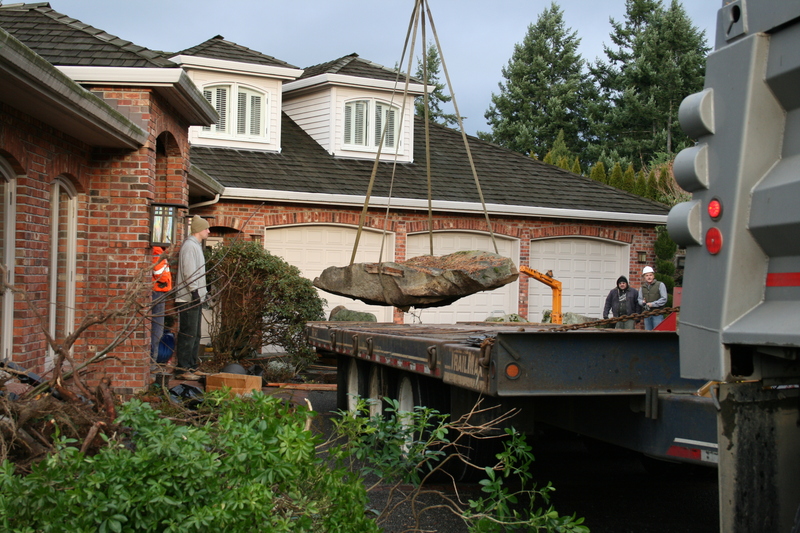 They moved two semi-trucks of beautiful moss-covered granite and five specimen trees to be stored during the two years of construction. Today the landscape is fully restored with many of its original trees and many more to create the park-like setting that many of neighbors have admired. Laura still oversees the long term vision/stewardship of this property along with the talented Maple Hill Gardens landscape maintenance crew. Allison Residence - Water feature and feature frames the patio. Allison Residence - Planting detail around the patio. In 2012, an active family asked Gardenworkz to create an outdoor “go to place” for their three teenage soccer-player children, teammates and family parties. This family has a generous sense of “Ohana” and often times, there are a dozen cars in the driveway and twice as many mouths to feed. 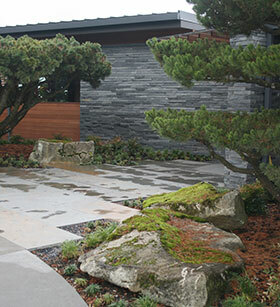 The project had three elements – an outdoor living room/kitchen; enhanced backyard; and an esthetically pleasing approach to the property in the front yard. The outdoor living room is designed complete with Firegear overhead heaters for cool winter evenings, custom furniture, music and a TV. The new team sized kitchen has warming drawer, fridge, sink, BBQ and large granite counter top that serves as buffet for teams and as a bar. 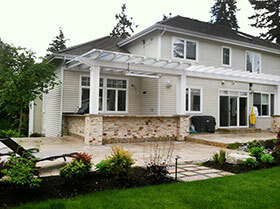 Gardenworkz worked with McClellan Architects to create the lightweight opaque covered built structure and kitchen element layout. Gardenworkz then transformed the back yard to a postgame destination space with a recessed soccer team-sized fire pit for the whole group to enjoy, a two-tiered patio, basalt column water feature up-lighting for specimen trees. 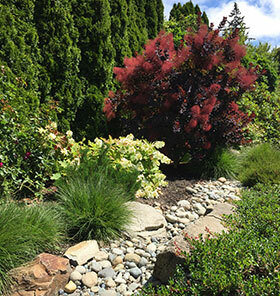 Barberry, mountain laurel, blood Grass, Sedums, Oakleaf Hydrangeas Echinacea finished out the assortment to provide year-round color and interest. 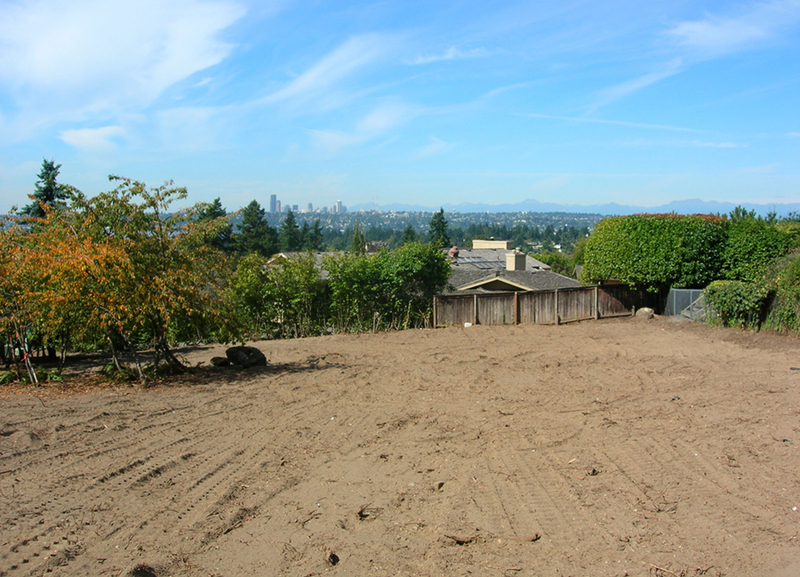 Additional Dogwoods and Japanese maples were used to strategically screen views from neighbors. 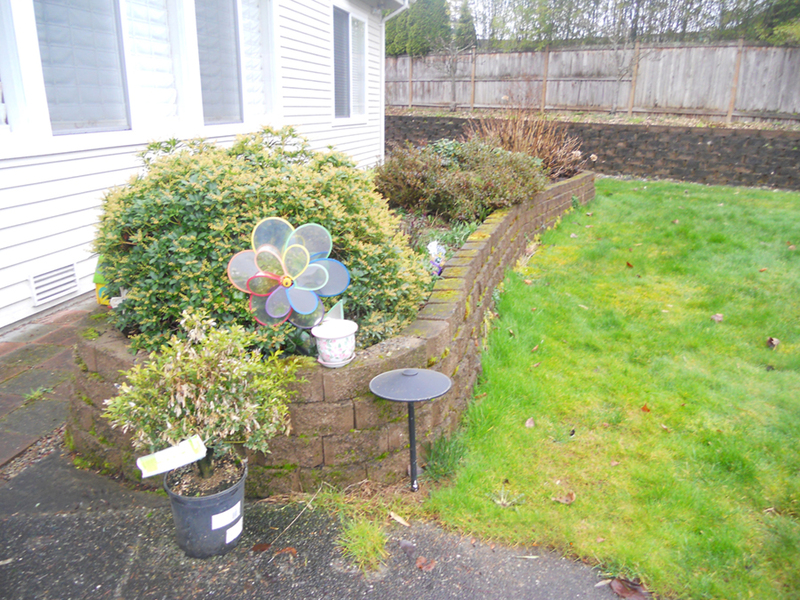 To make the front yard more attractive and functional, we transitioned what had been a huge driveway and visable, muddy side yard into a grassy lawn while at the same time providing supplemental parking using Tufftrack permeable grass pavers. When the team is over its enough parking for all! It looks even better when the cars are gone and the new pavers are left to look like a soccer pitch while helping mitigate the wet/soft ground conditions underfoot. Today, this low maintenance garden provides lush year-round interest allowing the family to savor their garden as an outdoor living and entertaining space. This garden, with its many interconnected design elements will serve this family well as it’s needs grow and change over time.